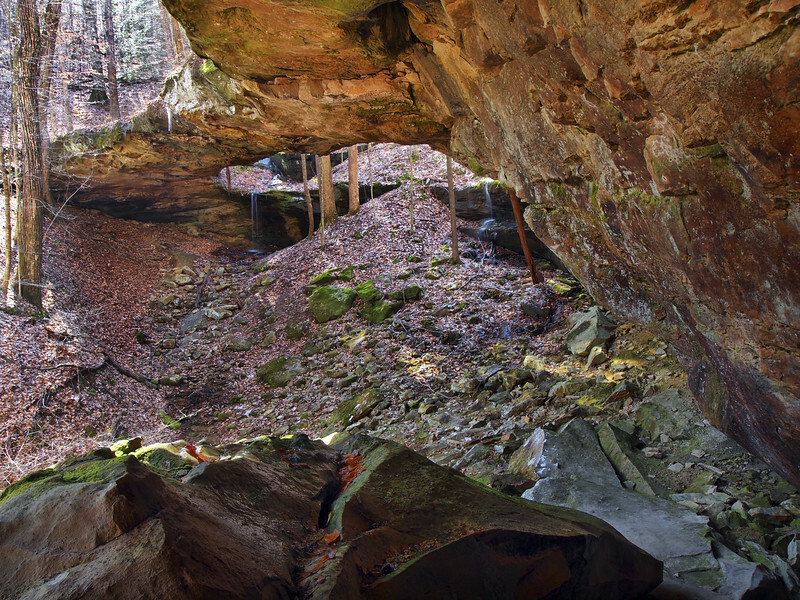 Located near Mill Springs, Kentucky, Meadow Creek cascades over several drops covering several hundred feet before descending over a 35 ft tall waterfall that is just feet away from Lake Cumberland. In my opinion it’s one of the most beautiful creeks in the state. We’re going to skip the main falls, the reason why is that it didn’t have much water on it, but the waterflow was perfect for the cascades. Our first stop on our tour is this 8 foot beauty that is 50 ft upstream from the main drop. In order to reach this falls you have to walk upstream beyond the cascade, cross the creek to the other side and make your way down the natural steps. To be honest, what's so cool about this creek, the further you move upstream the better it gets.